Security is among the main priorities of any homeowner. When the time for lock replacement comes, you can choose from a range of different options. Among them, you will discover the electronic locks also known as keyless locks. These are now more widely used by businesses than ever before, but it is natural to ask yourself whether they are suitable for home use. Learn the most important things you need to know about them to make a well-informed decision. The mechanism which these electronic devices use to operate is actually quite simple. Inside, there is a motor which moves the bolt back and forth to allow for unlocking and locking respectively. Usually, this is a deadbolt. The motor's operation is triggered by an impulse, which occurs after the recognition of a code. It is natural to ask yourself where the power for the motor comes from. The lock is connected to the electrical grid of the house. There is also a backup battery which is used in case of a power outage. The typical keyless door lockset has a keypad. This means that you have to come up with a numeric code to use instead of a key. This practically eliminates the risk of key loss. It is true that you may forget the code, but in this case your house will not be at higher risk of burglary, unlike when you lose your physical key. Additionally, the need for lock rekey is eliminated as well. You simply need to change the access code if you think that someone may have learned it or guessed it. Most devices give you the option of creating temporary codes to give to friends who come to visit or house workers. 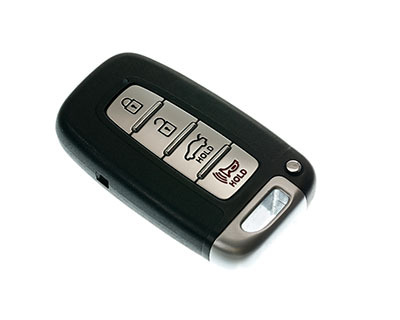 Virtually all devices featuring a keypad have a physical keyway and a physical key as well. These are designed to be used as backup. 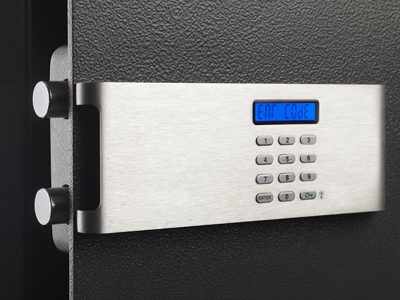 Some more sophisticated electronic locksets for home use have plates for fingertip recognition. 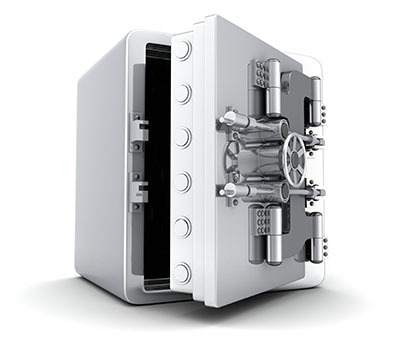 They are designed to give you an even higher level of security. Still, there is less flexibility when you have to make your home accessible to other people. The higher cost is an important factor to take into account as well. This includes not only the price of the device, but also the lock installation and maintenance expenses. Now there are also electronic locks that you can operate entirely with your smartphone. A special app enables you to lock and unlock the door just by having your phone next to it. You can also create digital keys for temporary use. If your phone gets lost, you simply need to use the app on another device to disable it. Overall, the keyless locks are reliable and can provide a high level of security. Besides, there are various models to choose from.